Have you found that discipline and having consequences for negative behavior doesn’t work with your hurting child? As one mom phrased it, “They don’t care.” So, our first goal is to focus on creating a bond. As you work on making connections with your child, be sure to keep in mind that this is a process. Our children’s previous circumstances have played a major role in re-wiring their brains, and it will take time and consistency to help them see us as safe adults, who they can trust. 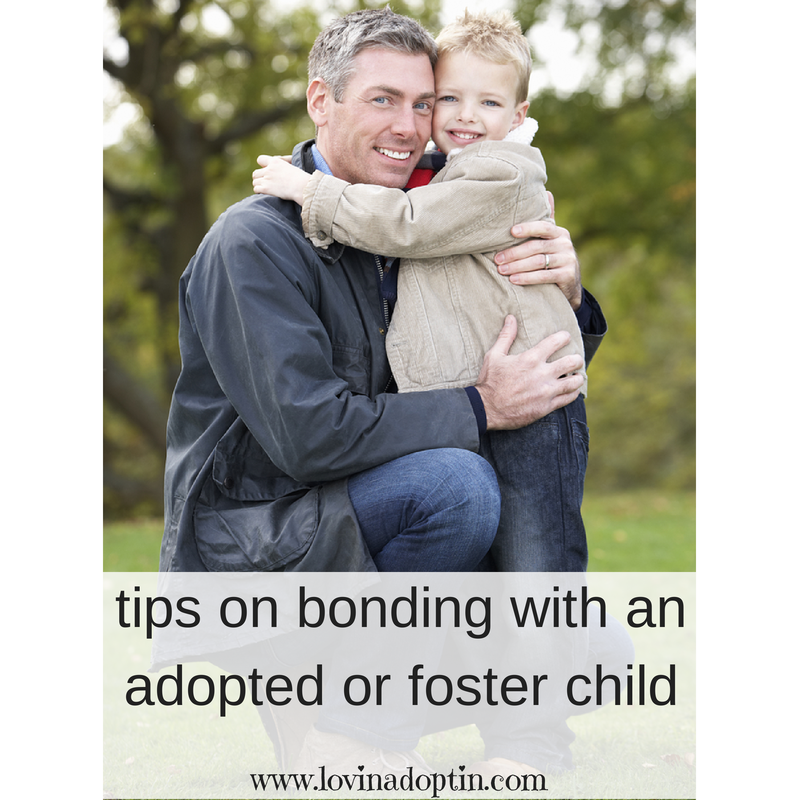 Before we can implement directional techniques with our children, we have to begin working on the bonding process. 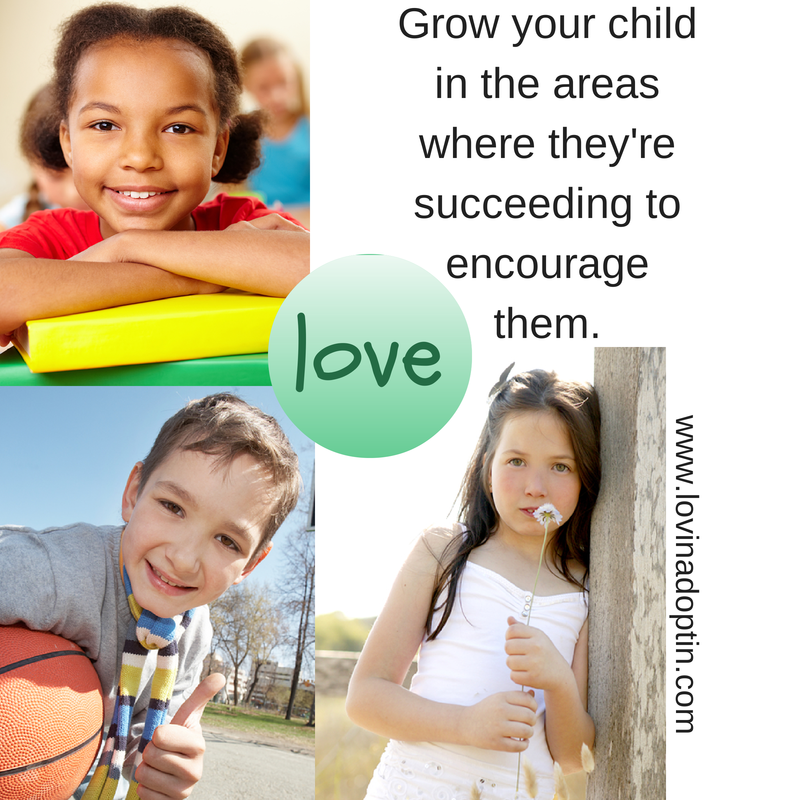 Reason being, if our children are not attached to anyone, they will not change their behavior. This is why, until a certain point in the bonding continuum, consequences and discipline mean nothing. Simply put, our children who have attachment issues don’t care. so will your child’s awareness that their negative behavior isn’t acceptable. Your child will take steps forward, and steps back. At first the steps forward will be much smaller than those going in reverse, but always look at those advances because those are what will keep you going. Part of the reason our children are so difficult is because they are strong, and they’re extremely intelligent. In Chris Cleave’s book, Little Bee, he sums it up so simply. Our children don’t want to change, and how well does it work to manipulate someones behavior when they are against it? It’s a no go. Their brain has literally been wired to distrust, and to protect themselves at all costs. We will have to change the patterns in their brain so they can bond with us, then we can help them with their negative behaviors. 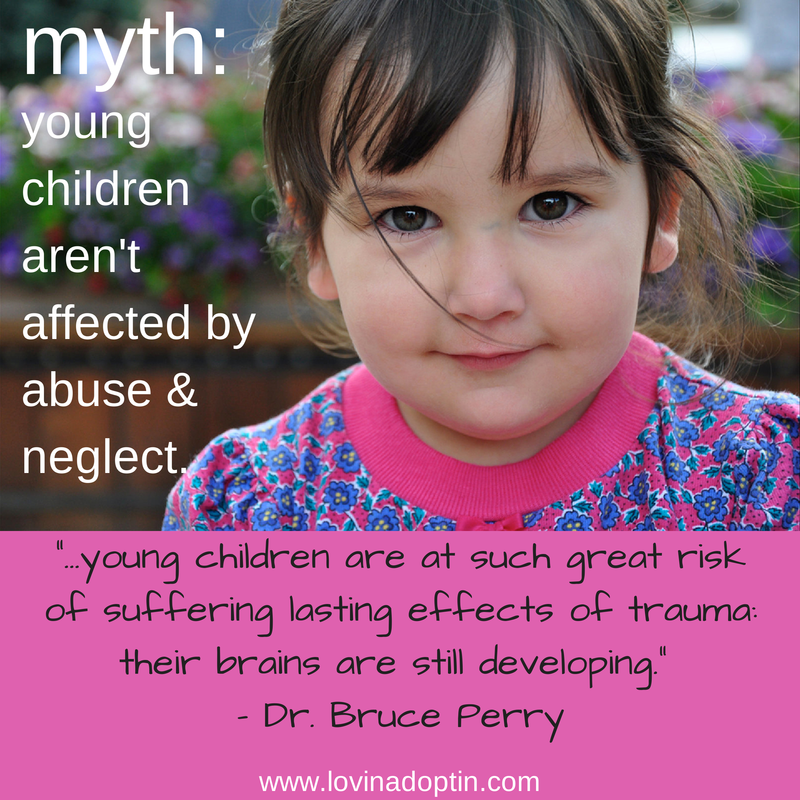 Bruce Perry has done some research that has scientifically proven that when a child is neglected, or has been through trauma, connections are not made in their developing brain. The neurotransmitters are not connected. 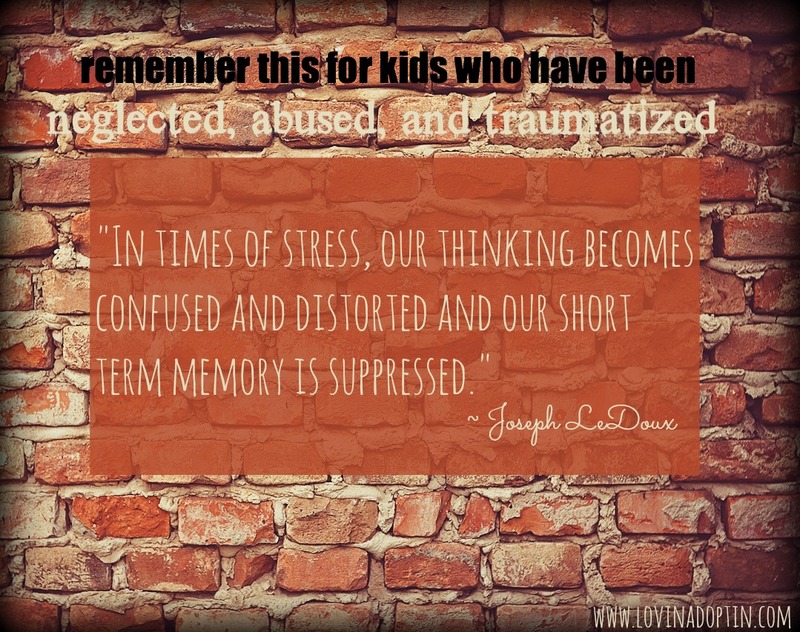 A neglected/traumatized child’s brain looks different than a child’s who has been loved and accepted. This brain connectivity begins in-utero! Rocking (rhythmic movement) has been proven to connect these neurotransmitters. Brain scans were taken of children prior to rocking and afterwards, and the results were visible. Physical healing takes place when a child is rocked. When we implemented rocking with our daughter we were surprised by the results. Prior to rocking, Payton had major sleep issues, not all of them were solved by rocking, but many were. It was a tremendous first step. You can see a previous post about how rocking helped us here. Before we began rocking, Payton would yell at me without thinking. She had a temper and was unable to control herself. After only a couple days of rocking, she yelled at me, caught herself, and began talking to me nicely. This was a tremendous turn around, one that I had never witnessed with her. We still had behavior issues to work through, but many were taken care of with rocking. 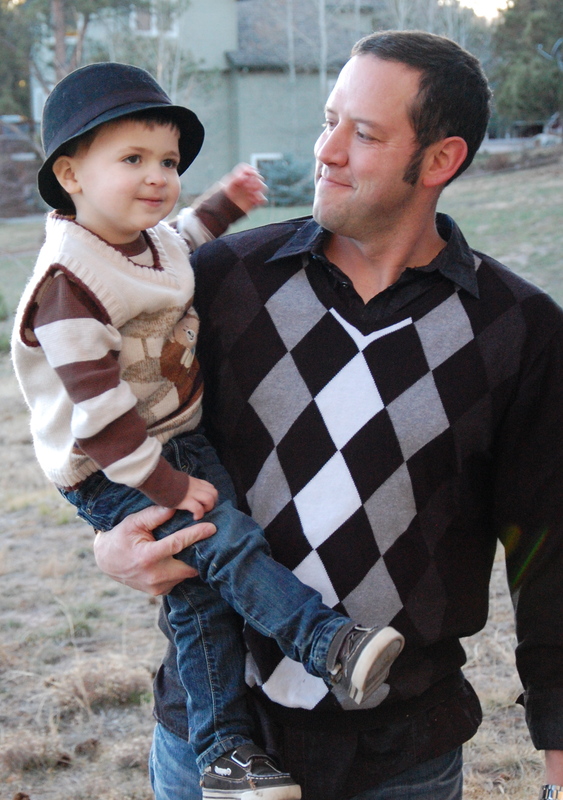 You might be thinking, “Rock your child and they’ll begin to bond? But what if my child isn’t an infant, I have a seven-year-old.” The answer to the first question is, yes! The answer to the second is found in an amazing story I heard about a nine-year-old by who was not attached to either of his adoptive parents. He had been in their home for more than four years, and he had a disdain for his adoptive mother, and could barely tolerate his adoptive father. A therapist recommend the dad begin rocking the boy daily for a minimum of fifteen minutes per day. He did this, and the boy allowed him to do so. After rocking for a while, the young child began to make eye contact with his mom, which had never happened before. He finally allowed his mom to rock him and he bonded with both of them. Try rocking your child by holding them facing you, it is recommended that they be rocked a minimum of fifteen minutes per day. 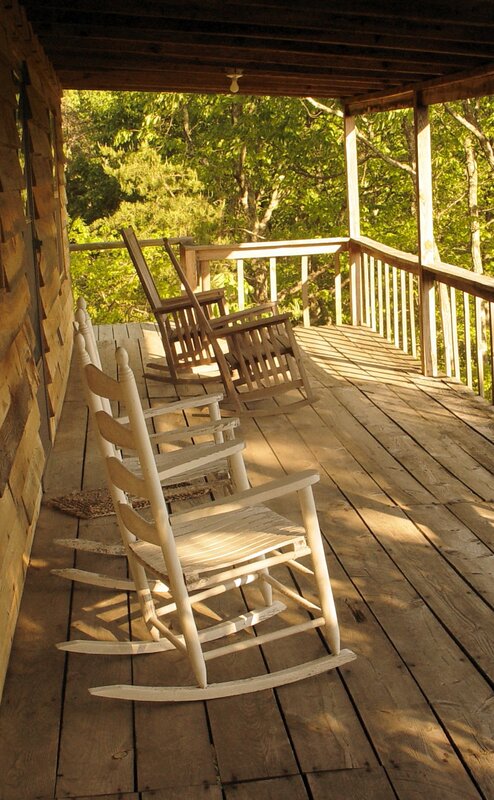 You want rocking to be a positive time together, remember the goal is attachment. If you have a child that throws tantrums and fights you on everything, you can try Paradoxical Parenting to get them to rock. 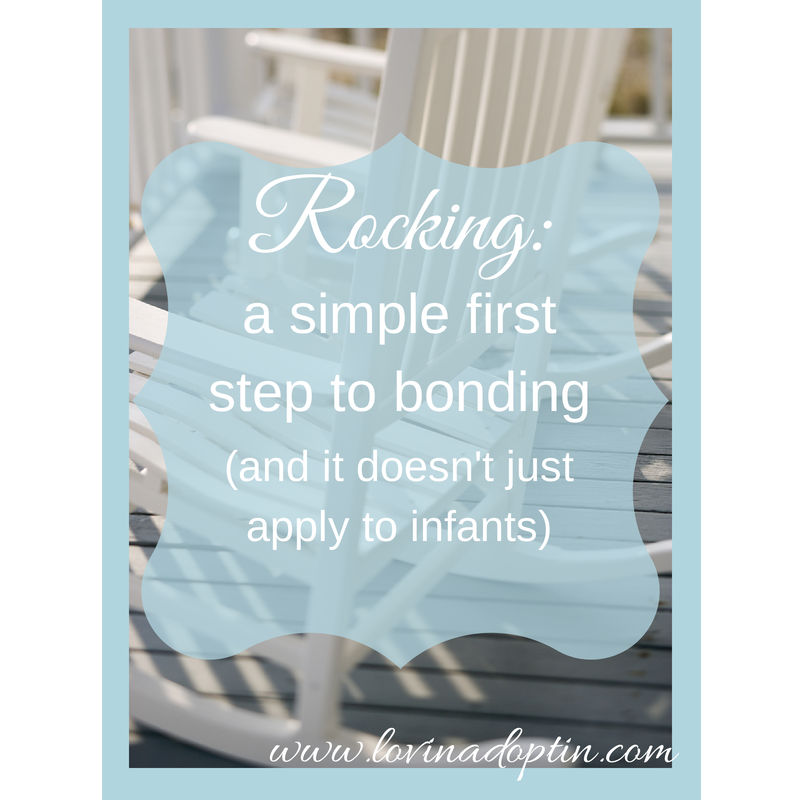 If you can tell that your child is completely uncomfortable rocking, you can begin with Floortime and Parallel Play which I lay out in my post, Tips on Bonding with an Adopted or Foster Child, and move to rocking as your child feels more comfortable with you. You can also begin by rocking your child for two minutes, then add a minute every day. If you have an older child that understands rewards, you can tell them they will get a small reward for rocking. I wouldn’t recommend candy, as I try to stay away from connecting food to behavior, whether removing it because of negative behavior, or rewarding with it because of positive behavior. I say small reward because you will have to continue it every time you rock for a while. Maybe they can play an educational iPad game when they’re done, or they can pick out a stuffed animal to sleep with. Also remember that for some of our children even rewards don’t matter. I can’t tell you how many “special” things our daughter has lost over the years. Until our daughter made a connection with us, rewards and consequences didn’t have the outcome we were looking for. The study done on bonding wasn’t specific to rocking, but to rhythmic movement. Although, it is my opinion and the opinion of others that rocking makes a quicker connection between a parent and child – you are holding them close, you have bodily contact, you can make eye contact if your child will let you, and you are doing it together – there are other ways to get rhythmic movement into your child’s daily routine. You can use a trampoline, they even have smaller indoor ones (both of our kids LOVE the trampoline), swinging (you can even use a hammock and rock together), or swimming. Friends of ours adopted their daughter from foster care when she was twelve-months-old and once they started her with horseback riding lessons, she never stopped. Her family believes this is the rhythmic movement she craves and has helped her deal with issues that arise in her life. I hope you can try rocking, and until your child is able to rock with you, or is far too large to rock, try rhythmic movement of any kind (can be combined with rocking). Let me know how it works, I would love to hear about it! *Note: I shared the link about our children’s hurting brains looking different. This does not mean our children aren’t intelligent. It can actually mean that our children do possess a great intelligence, you can read more about it in, The Intelligence Behind a Hurting Child. I talk frequently about our children and their brains, how a hurting child’s brain is less developed than a child who’s had a typical upbringing (love and consistency). I talk about their inability to think logically, and that’s why consequences and reward systems don’t work. However, none of this means that a child who’s been neglected, abused, and traumatized isn’t smart. I think all of this can be misconstrued and parents can assume their children aren’t intelligent, when that’s very far from the truth. When Dr. Bruce Perry talks about a traumatized child’s brain being smaller, it means certain areas haven’t developed fully. It doesn’t mean the processing areas aren’t functioning, it means the areas that control the social and emotional haven’t developed fully. A hurting child is aware of what’s happening around them, they are able to manipulate, they can give you directions and street names, but solving A=B issues is very difficult, even impossible for some, hence the logical consequences don’t compute. In the book Little Bee, two girls have escaped an England prison, where they’d been held as illegal immigrants. 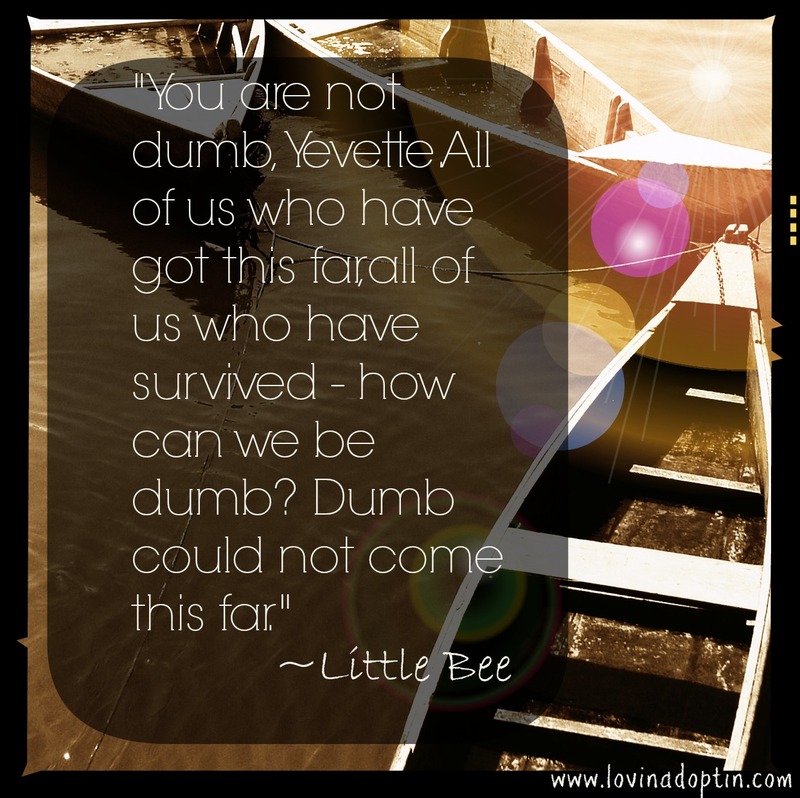 Little Bee says to Yevette, “You aren’t dumb, Yevette. All of us who have got this far, all of us who have survived – how can we be dumb? Dumb could not come this far.” It’s so true, and something that parents need to understand about their hurting kids, they aren’t lacking intelligence, it only looks different. 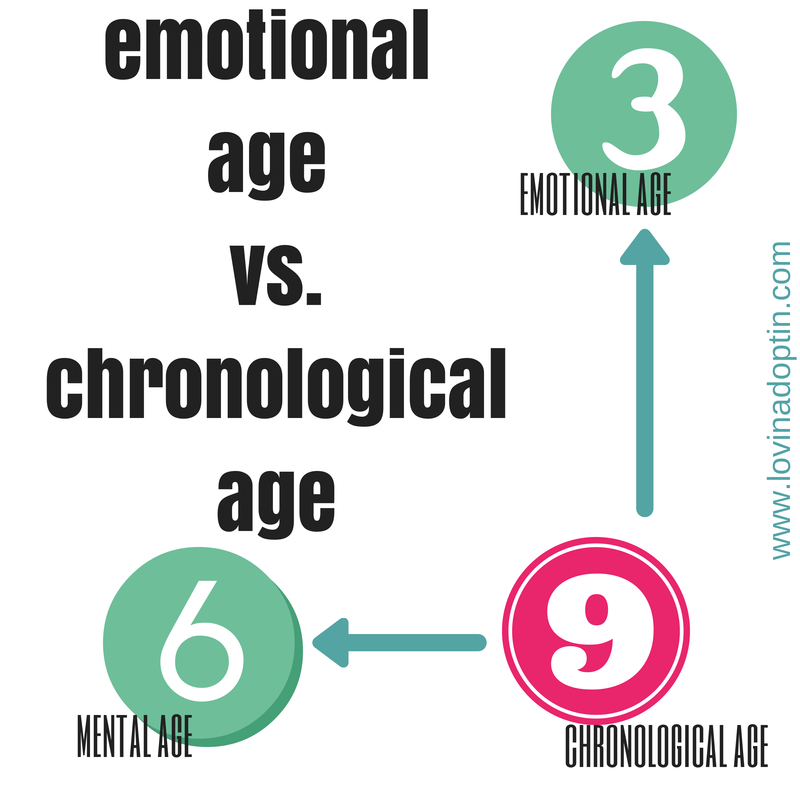 For those who don’t enjoy reading about brain development, essentially what Mihaly said is that while our children weren’t developing in the social/emotional area of their brain, the cognitive area had adequate time to mature. My daughter, Payton, is just one example of this. She had extreme difficulty with controlling behaviors she knew were unacceptable, she wasn’t able to figure out A=B for consequences. [If you do A (behavior) then B (consequence) happens.] Yet, when I spelled out “ice cream” when she was two, she knew what I was spelling, and she could give me directions to the grocery store. She was reading books at age four, and I could go on and on with her knowledge of where she was and how things worked. This happens so many times with kids who’ve been neglected, abused, and traumatized. Dr. Bruce Perry has also said, “If you have relational poverty you walk around as a dysregulated person. 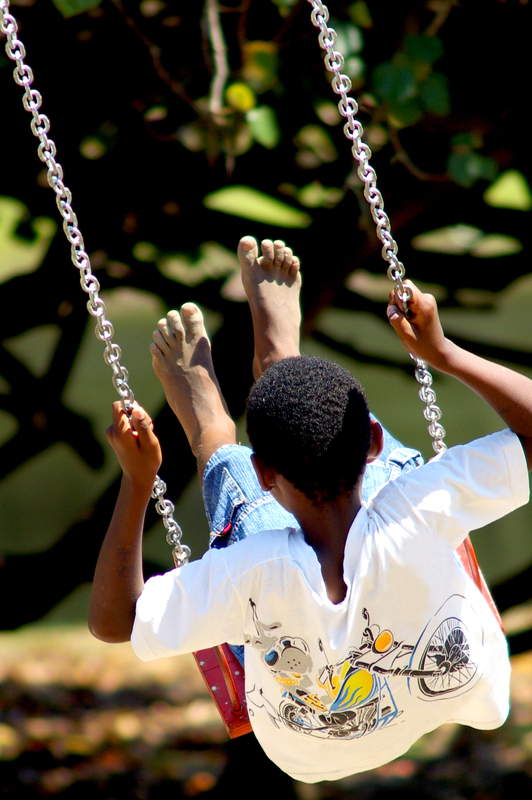 You’re more vulnerable to trauma…and it’s harder to learn new things.” Perry describes the one who is in relational poverty as a high risk child or one who’s in foster care. Also, just because a child has entered your home or been there for a few months, it doesn’t mean they’re no longer in relational poverty. It takes time for relationships to develop, especially when a child has learned no one can be trusted. Hurting kids are constantly under stress until they have made significant attachments, even while they’re making attachments they will slip back into a stressed state. On the topic of stress affecting our memory, even I can attest to this. I walked into a Starbucks earlier this week and stood at the counter, it was the first time I’d been at this particular store, but I had ordered this particular drink dozens of times, yet I froze. What was it that I order every time? See, it happens to all of us…I think. So, there’s a good chance your child is intelligent, it just may be hiding underneath a lot of pain, or you may see it and wonder how your child can be so smart, yet not obey simple rules. I hope this gives you some insight into your child and what’s going on inside of them. You can receive all posts made to Lovin’ Adoptin’ by subscribing in the upper right corner of this page. You can also follow me on social media sites to receive other helpful links.